Today I am thrilled to be part of the blog tour for Whistle in the Dark by Emma Healey. Fans of the Elizabeth is Missing have been longing for a new book by this author and now we have a new book and I am going to be sharing an extract with you to get a look at what the author has in store for us this time around. Whistle in the Dark is out now! 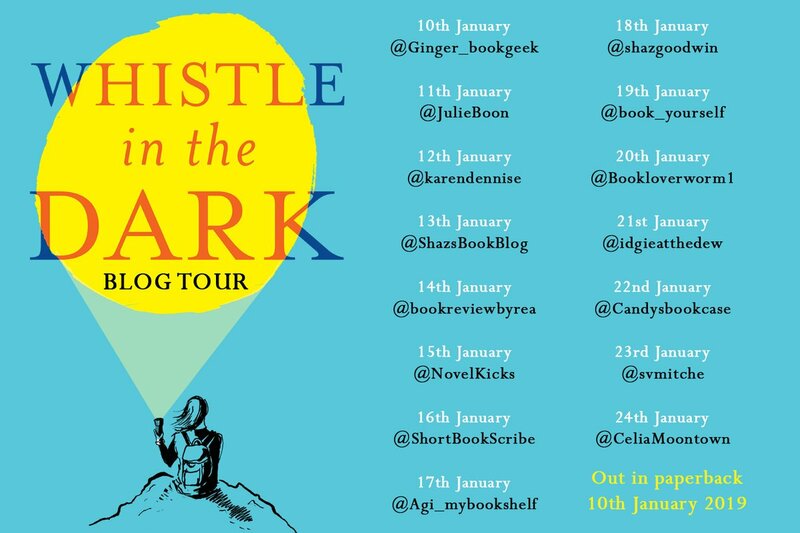 Whistle in the Dark is the first book I have read by Emma Healey despite hearing such rave reviews about her previous book Elizabeth is Missing. When I read the synopsis for Whistle in the Dark I was instantly intrigued and it sounded like just the kind of storyline to keep me gripped. Fifteen year old Lana goes missing for four days and her mother Jen, is in turmoil not knowing where her daughter is and whether she will be found dead or alive. Lana is found four days later but she refuses to speak about her whereabouts in the time she was gone and no one knows what has happened to her. Jen can not move forward without knowing what happened to her daughter in her time away. The first chapter of this book pulled me in instantly and my mind was already racing concocting all the different scenarios as to what could have happened to Lana. After the eventful start to the book I then found my interest began to waver for the middle of the book as nothing much seemed to happen, the storyline flowed at a slow pace as we see Lana getting on with her day to day life whilst Jen began to notice small changes in her daughter. The last part of the book picked back up again and I found myself desperate for answers more for the need to solve the mystery than for any care for the characters. I didn’t connect with either Jen or Lana, they had a difficult relationship but even though I was aware of issues they were both dealing with they were not likeable characters to me. The author certainly gets across the difficulties and strains of parenting and the emotional effect this has on Jen. I expected to be more sympathetic towards Lana but her actions made me feel differently. Mental Health is a big issue that is unfortunately touching many peoples lives in some way and this is covered in this book which brings awareness which is a great thing. I am pleased I read this book and it had me intrigued I just feel the middle part of this book nearly made me DNF this book.